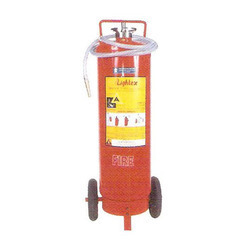 Prominent & Leading Manufacturer from Mumbai, we offer abc fire extinguisher, dry powder trolley mounted fire extinguisher, water trolley mounted fire extinguisher and foam fire extinguisher. ABC Dry Powder Type Fire Extinguisher. Stored Pressure Type. 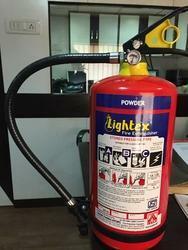 Dry Powder Fire Extinguisher. Trolley mounted. Inside Cartridge & Outside CO2 Type. IS 16018. Water Trolley mounted Fire Extinguisher. Comes in both inside cartridge & outside CO2 type. Complete with all accessories. Foam Fire Extinguisher. Stored Pressure & Cartridge Type.